These tips will let you relax about clipping your dog’s nails. You just need to know the right way to do it. When Should I Clip my Dog’s Toenails? Before you find out how to clip a dog’s toenails the first thing to know is when you should do it. When your dog is standing the nails should not touch the ground over the pad of their foot. 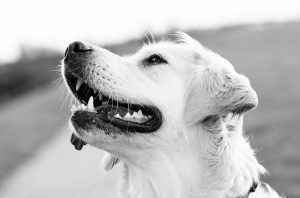 Outdoor dogs don’t need nail clipping as often because their nails naturally wear away against hard surfaces. And if you often take your dog for a walk on the sidewalk this will help to wear down its nails. To keep the nail at the best length, most dogs need their nails clipped every 3 to 8 weeks. Why do Dogs’ Nails Need to be Clipped? If you’re concerned about how to clip a dog’s toenails you should be. It impacts on their health. If your dog’s nails are too long, it is painful for them. It will make them upset and cause them to change their behavior. Long nails can even lead to leg and hip problems because they will change the way they walk to try and avoid the pain. This is why it’s so important to clip dog nails regularly. The good health of your dog depends on it. Be sure to train your dog for dog clipping. Touch his feet and get your dog used to it. Separate the toes so it is not a new sensation when it comes to doing the clipping. The more relaxed your dog is about nail clipping, the easier it is for you to do it regularly. Here is a very helpful video showing you a well-trained dog who loves nail clipping. To keep your dog happy about the nail clipping process, some dog’s need their nails clipped once a week and others can be done once a month. Just keep in mind, the more regularly you clip their nails the better they will tolerate it. When you first learn how to clip a dog’s toenails it’s really important to find out about the quick. White nails are easier to clip than black nails because you can see the quick. The quick is the pink part of the nail which will bleed if you accidentally clip it. 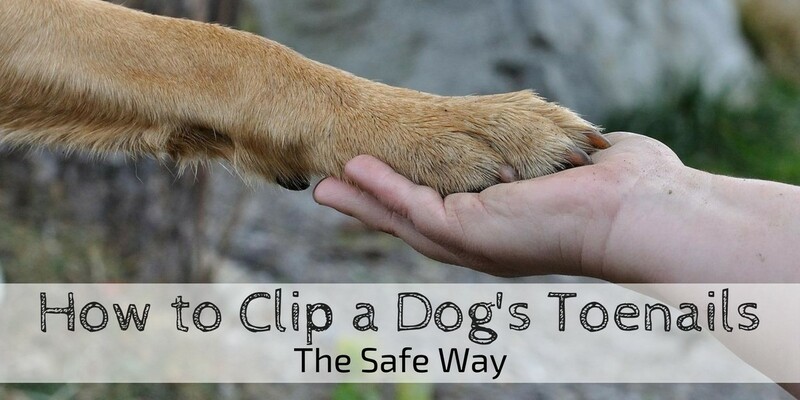 It is better to go slowly and only take a bit at a time so you don’t hurt your dog by clipping the quick. Most dogs prefer it if you only take little fragments of the nail off at a time with the clippers, rather than doing one big clip. If you’re worried about hurting your dog then try using a Dremel. This abrasive rotating tool is great for taking off a little of the nail at a time. Remember to only use the Dremel for a few seconds at a time and lift it off and then do it again. The Dremel can get very hot. You don’t want to hurt your dog. Never keep the Dremel on the nail for too long because it will heat up too much. Most dogs will be concerned about the Dremel when they first see and hear it. But with training your dog will love a nail clipping. If you train your dog to have his feet touched, he’ll be calm and relaxed. Then train him to get used to the sound of the Dremel. Be patient and nail clipping will become a breeze. What if I Clip the Quick and it Bleeds? In case of an accident with the quick being clipped, you should always have some Styptic Powder handy. You can also use corn flour to help the blood coagulate, but the Styptic Powder works faster. If you clip the quick, it will bleed a lot. This will be a shock to you and painful to your dog. Don’t panic. Try and stay calm so your dog stays calm. Stop the flow of blood with a cloth and then apply the Styptic powder. If the bleeding does not stop, take your dog to the vet immediately. What Angle do I Cut the Nail? When you’re learning how to clip a dog’s toenails there’s more than one approach to deciding on what angle to cut. You can clip your dog’s nail from underneath using an angle horizontal to the ground. This is the safest way but the problem with it is that you may not be cutting enough nail off to encourage the quick to recede. If you clip the nail horizontally to the ground, you can then use a Dremel to round off the top and edges. This gives a shorter nail without cutting too close to the quick. If your dog has white nails it’s important to check where the quick is. The quick is a pink color and can be seen through the white nail. You need to cut up to the quick but not so close that you cut it. If you do nick it, you make it bleed. It will bleed a lot. Use Styptic Power to stop the bleeding. How do I Cut Dark Nails on a Dog? When you first learn how to clip a dog’s toenails it is easier if you’re doing it on white nails. If your dog’s nails are darker in color you may be able to see the quick by shining a torch or the light on your phone under the nail. Sometimes you can see the quick using this method. You may need help from another person to hold the light. It also helps if your dog is well-trained to tolerate a nail clipping session. How do I Clip Black Nails on my Dog? If your dog’s nails are black, you can’t see the quick. You’ll need to cut small amounts and stop once you get to the pulp. The pulp is just in front of the quick so you don’t want to cut any further. To see full details (including photos) on trimming black dog nails, click here. A lot of dog owners think they can’t clip black nails on a dog at home. So they go to a groomer. If you know what to look for, you can clip them just as easily as white nails. Once you know what to look for, the pulp is quite easy to identify. Just don’t clip too much as once. Go more slowly, clipping off thin pieces at a time. The most important thing to remember when cutting your dog’s nails is to go slowly. Only cut off a little at a time. You might want to do one solid clip at the beginning, followed by a few thin shavings of nail being taken off. And remember, practice makes perfect – for both you and your dog. ☑ Need to get rid of matted dog hair? See the best tips here.